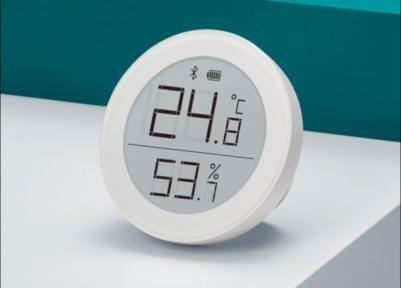 Xiaomi's QingPing Bluetooth Thermometer and Hygrometer Mijia version is the company's 2nd-generation device (following the original 2018 version). The QingPing uses a round E Ink display to show the temperature and humidity data, and connects via Bluetooth so information cab be seed on the Mijia app. The QingPing Thermometer is now shipping in China for 99 Yuan (around $15).